I’m not entirely sure why, but there’s something so awesome about eating colorful food. While it’s definitely a lot better for you, I’m not talking about “eating the rainbow” and filling your plates with bright, healthy, colorful food. I was thinking more along the lines of artificially colored cookies and cupcakes. Aside from the partying and general high spirits, eating colorful sweets is probably the best part about holidays. 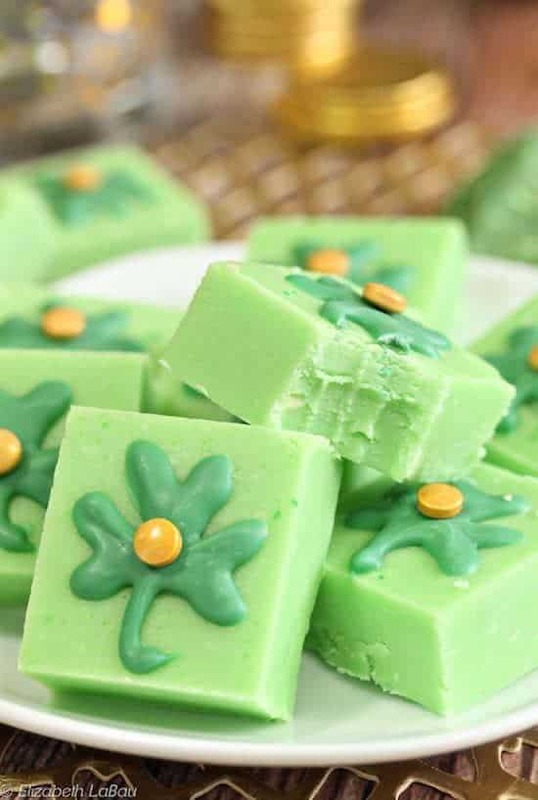 This St. Patty’s Day, all you really need is a bit of luck and these super fun green treats! 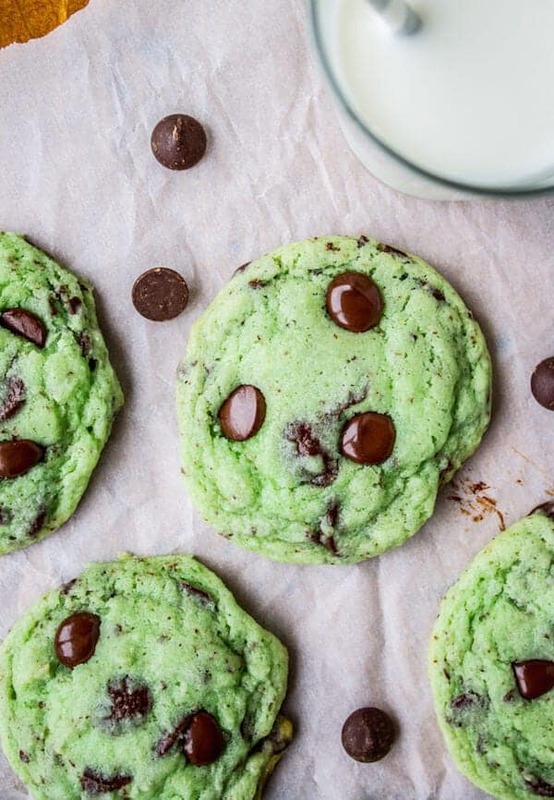 Classic mint and chocolate flavors combine in this simple cookie recipe. They are delicious, refreshing, and as festive as they come! 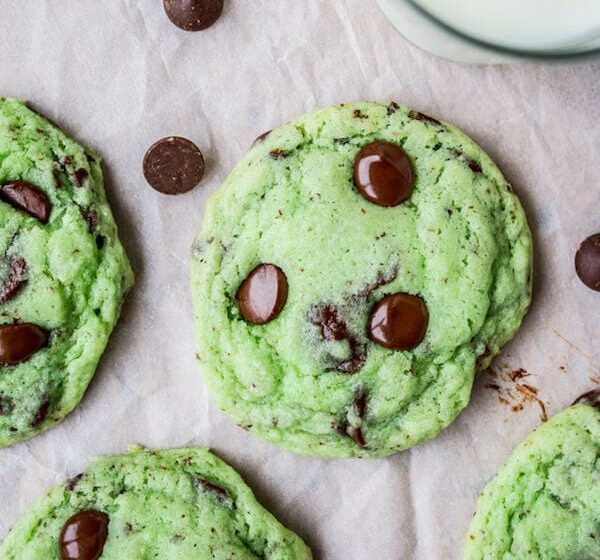 The only out of norm ingredients you need are a bit of food coloring and some peppermint extract. Find great recipes for every occasion at The Food Charlatan. These Jell-O parfaits are just as simple as they are delicious. 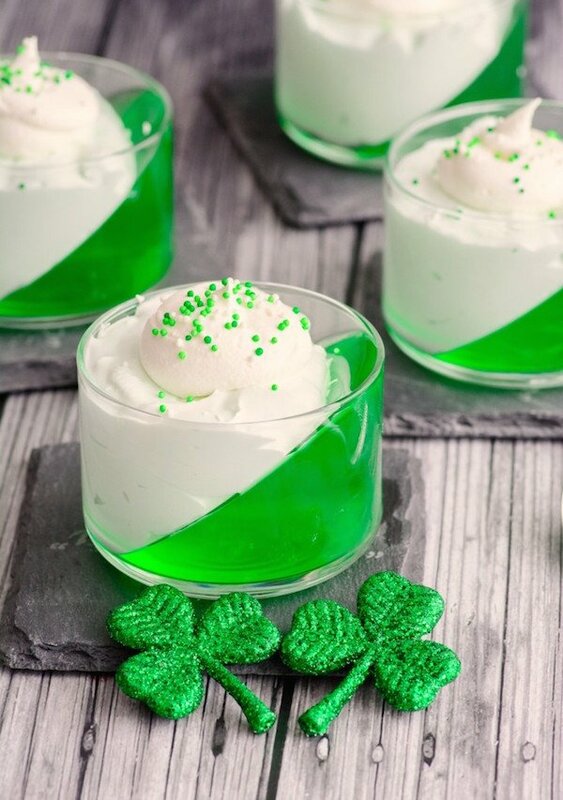 A bit of Jello-O, chilled and tilted so that it maintains a specific shape and some whipped cream are all you really need to create a dessert that tastes amazing and looks even better. Get great parenting tips, fun recipes, and amazing crafting inspiration at Life Love Liz. Just like red velvet only a lot greener! 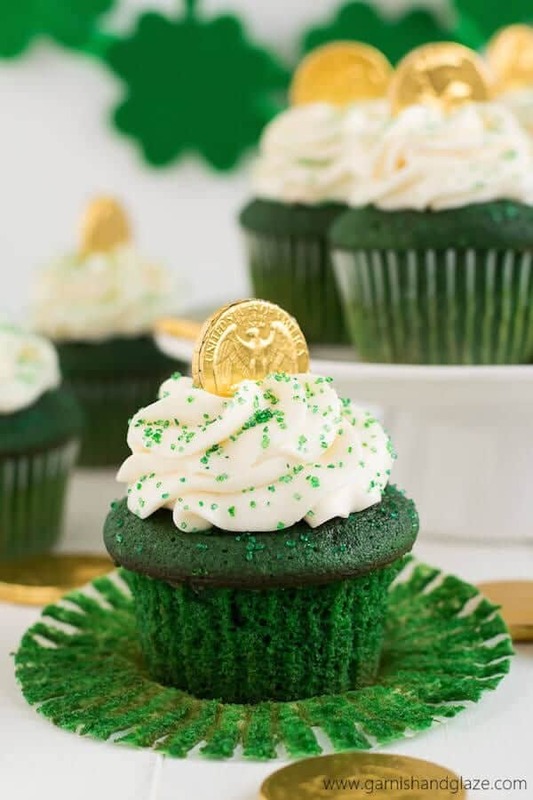 These cupcakes are super simple, made completely from scratch they have tons of chocolate flavoring and a cream cheese frosting that is out of this world delicious. Head over to Garnish & Glaze to find plenty of quick, weeknight meals and desserts the whole family will love. Everyone loves the Shamrock Shake. It’s totally okay to admit it. 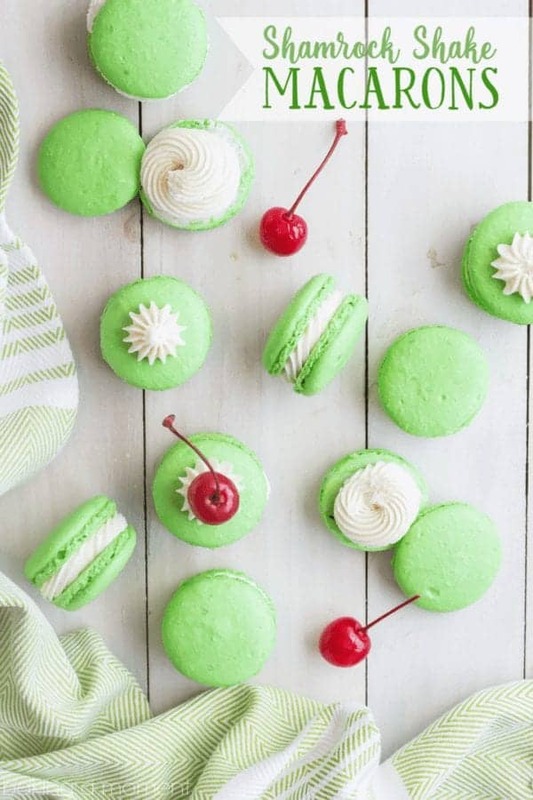 These macarons have that same, light minty taste and gorgeous color with the added bonus of being a homemade treat. Baking A Moment if full of delicious desserts and fun snacks that range from healthy to totally decadent. 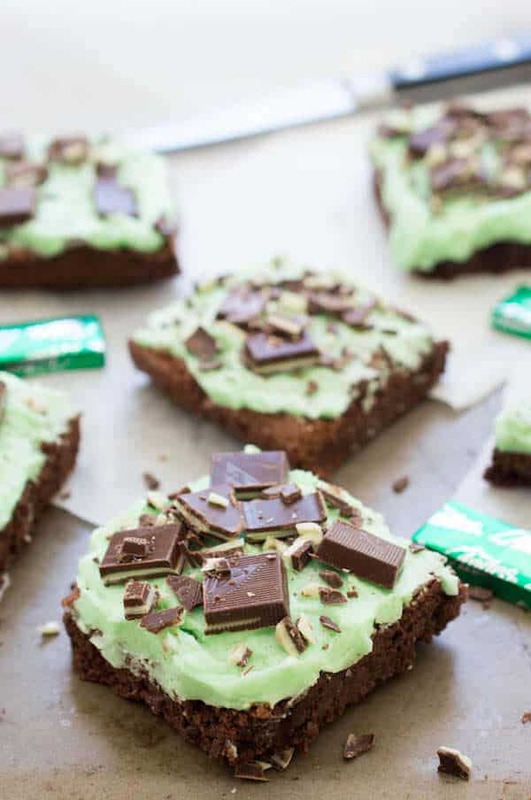 Classic brownies, minty candies, and St. Patty’s Day are perfectly combined in this great recipe. Super easy to put together and made in under an hour, this recipe is completely homemade and filled with love. Get great recipes and tons of tips on becoming the best home-chef possible at Chef Savvy. This fudge is made the old fashioned way. With heavy, cream and tons of sweet white chocolate. Luckily, it only takes about 30 minutes from start to finish and tastes like something you’d find at an old bakery. Which makes it a definite favorite in my book. Find information and tutorials for just about anything at About.com. 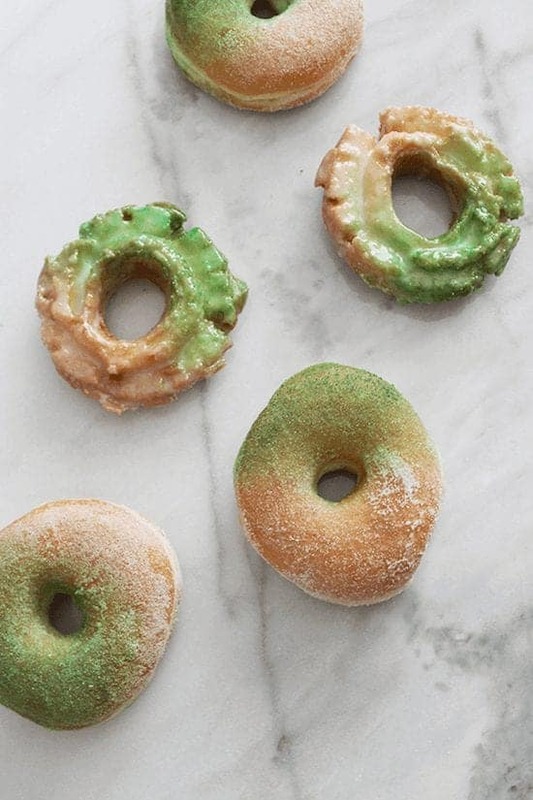 You really don’t have to do much to make these St. Patty’s Day donuts, which is why they’re the perfect “recipe.” Some store-bought donuts and edible spray paint can turn any simple donut into a festive treat that puts a smile on anyone’s face. Check out Almost Makes Perfect for more great recipes, free printables, and DIY projects. Aside from spray painting donuts, milkshakes are one of the easiest desserts to make. 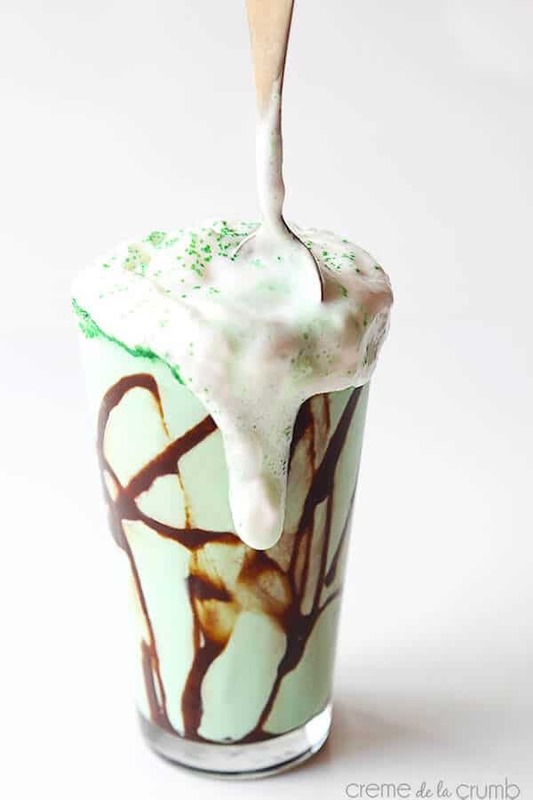 About six, simple ingredients and five minutes, and you have a homemade version of your favorite St. Patty’s Day milkshake. Find gorgeous photography and scrumptious recipes at Creme de la Crumb. 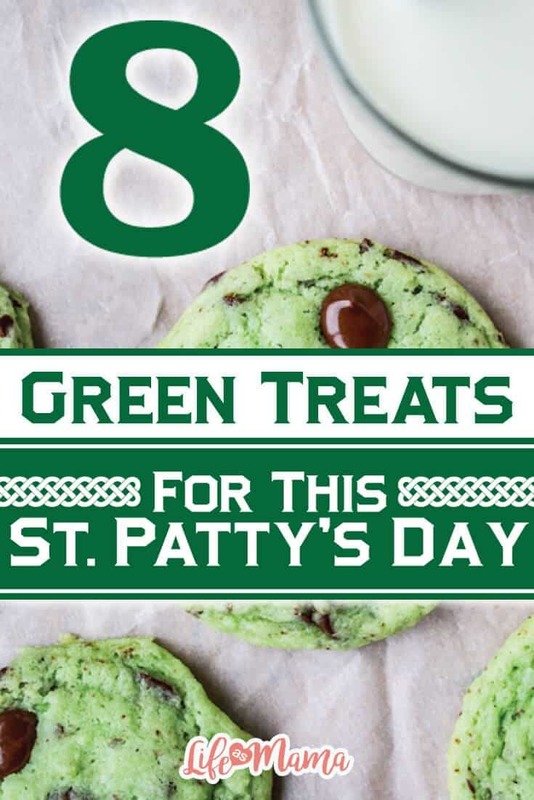 The post 8 Green Treats For This St. Patty’s Day appeared first on Life As Mama.